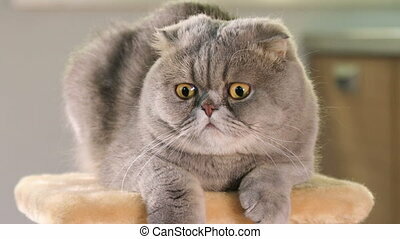 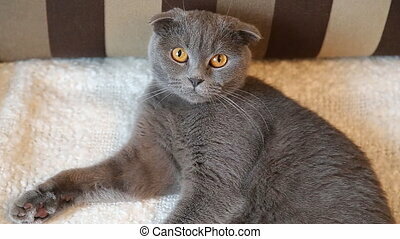 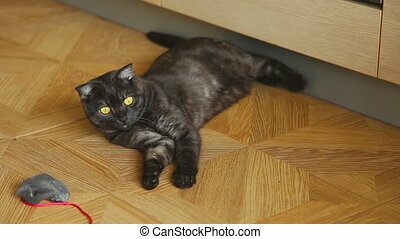 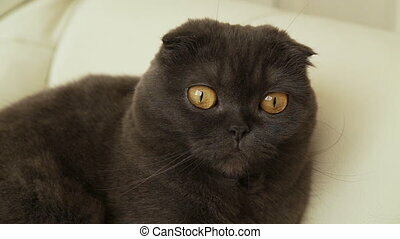 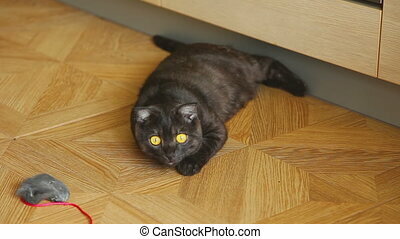 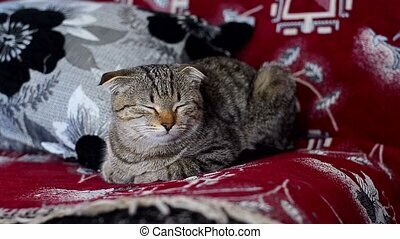 Purebred scottish fold cat. 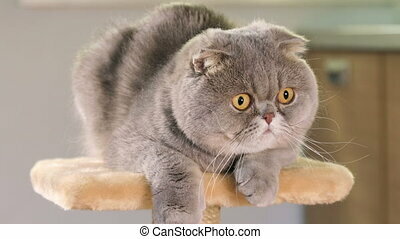 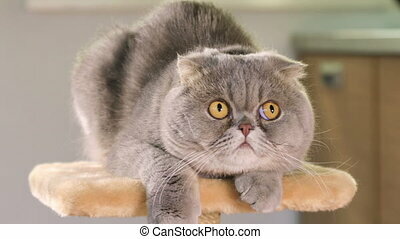 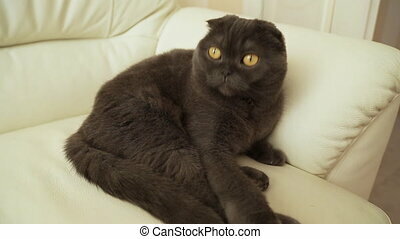 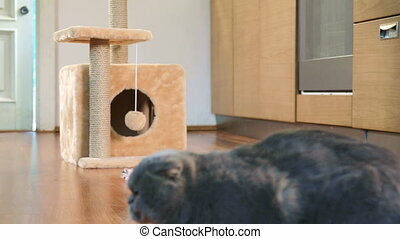 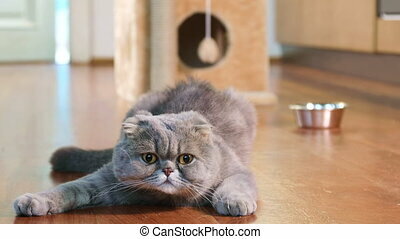 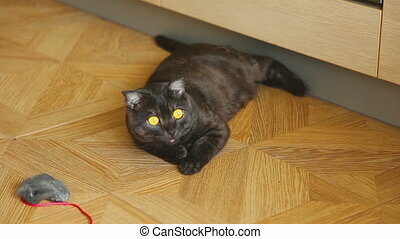 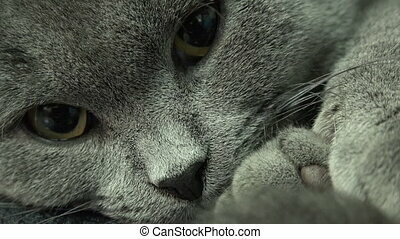 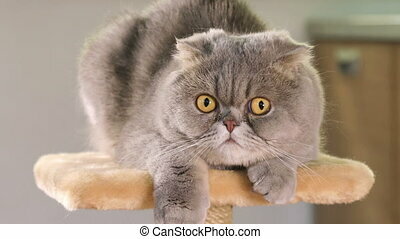 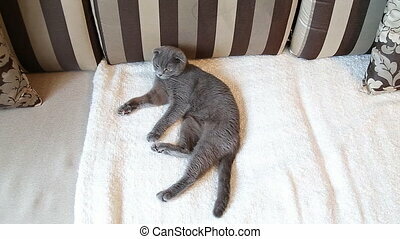 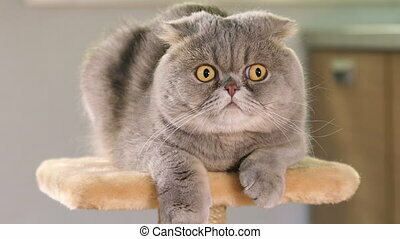 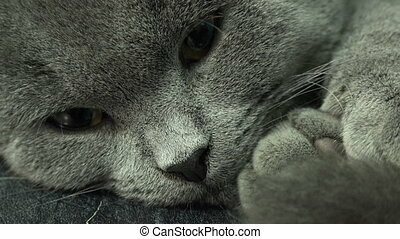 Scottish fold cat resting on the stand and looks around indoors. Young scottish fold cat lying tired with his toy-mouse. 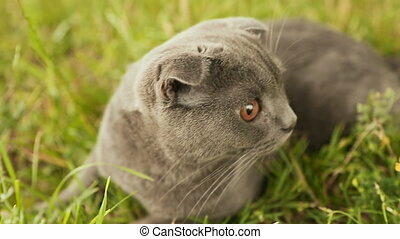 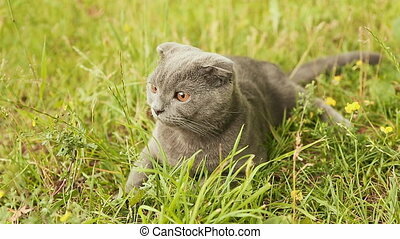 Scottish Fold cat lying in the grass.